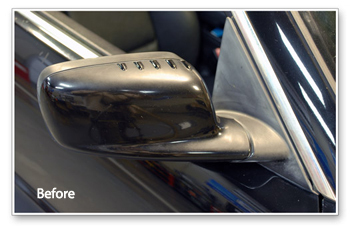 Two steps to restore black textured trim! The Black WOW Prepare to be WOWed Kit will take your dull, faded exterior trim and transform it! Black WOW restores trim to its dark, like-new appearance. It works even better when the trim is prepped with Pre-WOW Pre-Cleaner. You'll get them both in the Black WOW Prepare to be WOWed Kit! The Black WOW Prepare to be WOWed Kit is designed to quickly restore the color and beauty to textured exterior plastic trim. 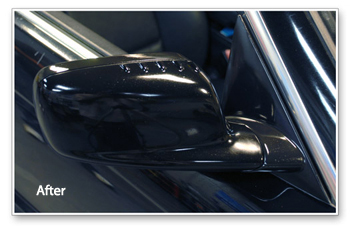 Black WOW and Pre-WOW were developed for MINIs, but any vehicle with textured plastic trim will benefit from them. Try this kit! 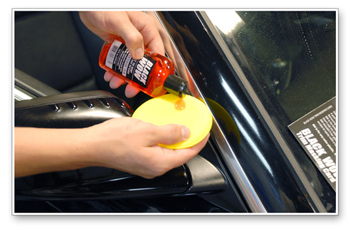 Black Wow is a matte finish trim restorer for all colored, smooth and lightly textured trim. Black Wow instantly restores the dark, even color to the trim. 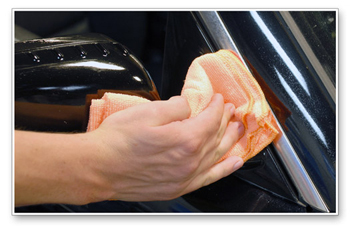 A single thin coat lasts for months through rain storms, car washes, and day-to-day driving. Black WOW works on all unpainted plastic trim, regardless of the color. Black WOW contains no dye or colorants. Pre-WOW Pre-cleaner cleans rubber and plastic trim without typical solvents. Pre-WOW cleans without drying. 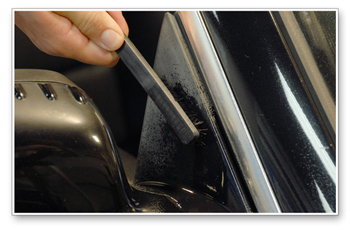 It easily removes white wax and polish stains from dark textured trim to prep the surface for Black WOW. Black WOW will look better and last longer after using Pre-WOW! These multi-purpose applicators are made of quality closed cell soft poly-foam. They are pliable, strong, and efficient. Use a separate foam applicator to apply Black WOW and Pre-WOW. With a 70/30 blend of polyester and polyamide, the Mango Breeze Microfiber Towels are designed to perform all your cleaning, polishing and buffing jobs. These mango-colored towels are excellent utility towels. Use a Mango Breeze Towel to clean up trim with Pre-WOW. 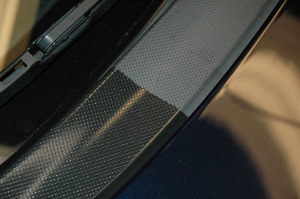 Dull, gray trim ages your vehicle. Use the Black WOW Prepare to be WOWed Kit to bring it back to life!